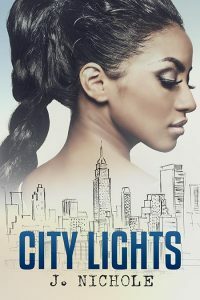 Beetiful designed the book cover for City Lights by J. Nichole. Life was going as planned, until now. Danielle graduated from college and moved to New York for a design job at a hip firm. Her boyfriend of years, Taylor, moved to New York with her so they could avoid a long-distance relationship. After a few years in the city, she expected to be flossing a shiny diamond ring. She expected to be planning her wedding. But the proposal she was anticipating didn’t come. Danielle felt that Taylor would rather kick it with his friends than build their relationship. Should she continue to wait for him to propose or should she keep it moving? City Lights is a quick read but a full story of what happens when love doesn’t go as planned. Author J. Nichole has penned another African American romance that emphasizes the beauty of black love. Get City Lights by J. Nichole today!